That is right! Last day of February and -26C this morning. I tend to think that Spring will never come around… This is a long and tough winter (Well, at least for me, I am from South of France, remember?). My previous winters, since 2006, have not been that brutal. I am not asking for 20C (although, I would not complain) but just anything in positive degree… Please, please, Winter go away! Am I the only one here? All together. PLEASE, PLEASE, WINTER GO AWAY! It might work :)! In the meantime, I have a simple recipe to propose. It is super comforting and the entire family will love it. It is creamy, it is warm and it is what you need this weekend. Tip: You can grate some nutmeg on it. It adds an amazing flavor. And voilà! Easy, tasty, it is what I do! Enjoy and stay warm. - Cut your cauliflower into floret and cook it in a steamer. If you do not own a steam, it is not the end of the word, I have cooked it in salted boiling water before, cook it until a knife can enter the vegetable easily. - Follow the bechamel instructions here. 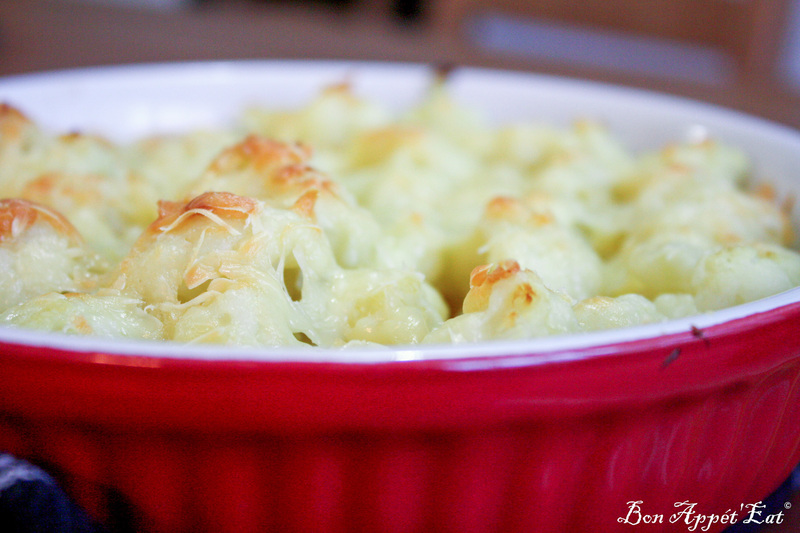 - In an oven dish, place the cauliflower, pour the bechamel heavenly on top of it. - Add the cheese on top. 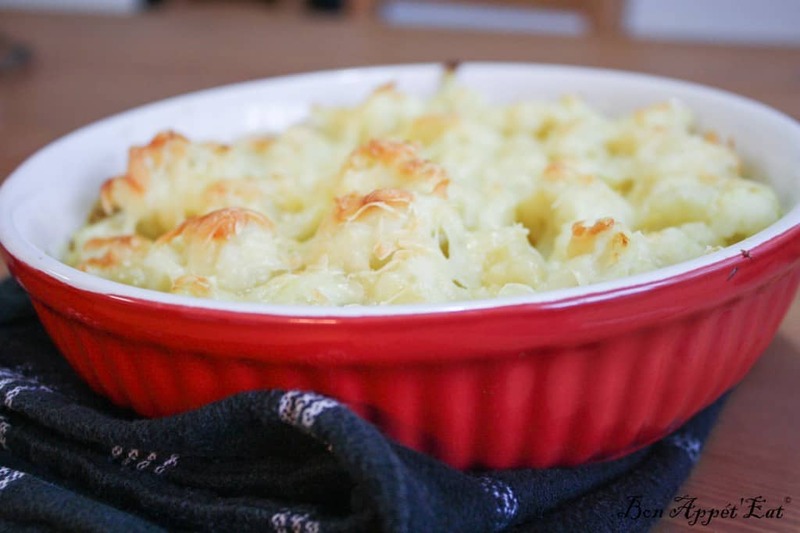 - Cook in the oven 15-20 minutes at 350C and serve!